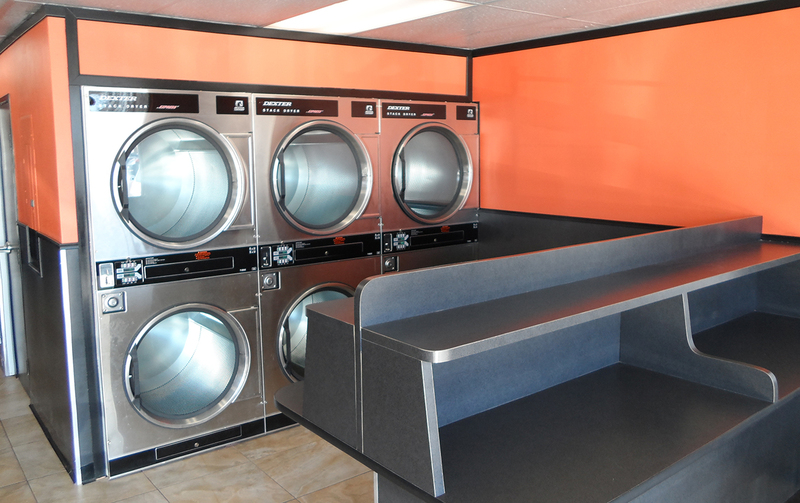 Western State Design partnered with laundromat owner Carlos Rubalcaba to remodel his laundromat facility by upgrading the equipment to Dexter C-Series coin-operated washers and dryers. When I was deciding what brand of coin-op laundry equipment to install during the remodel, there was one thing I kept hearing over and over: You can never go wrong with Dexter. 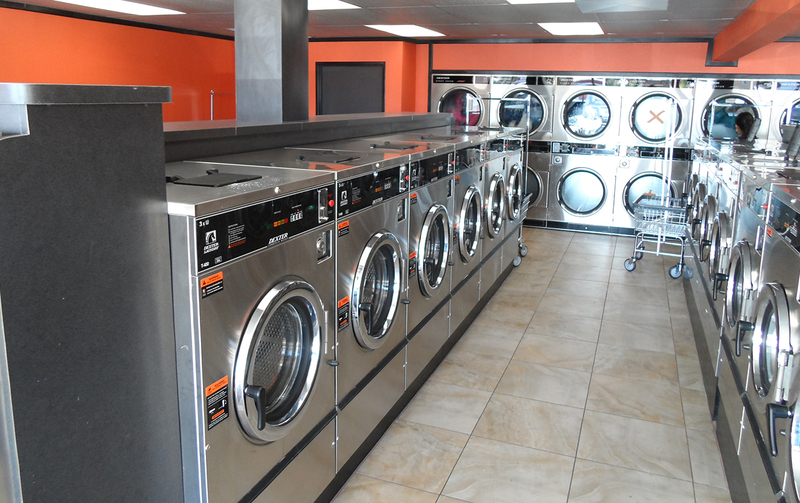 Western State Design's Steve Erlinger partnered with local Anaheim businessman and restaurateur, Carlos Rubalcaba, on a renovation project for his business, Rubalcaba Bros Coin Laundry. The facility recently reopened for business at its upgraded existing location in Rubalcaba Shopping Center. 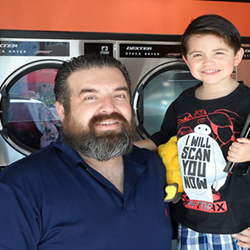 Carlos Rubalcaba, who purchased the laundromat seven years ago from his uncle who owns the Rubalcaba Shopping Center at 524 North East Street in Anaheim, just completed a Laundromat upgrade and Dexter Laundry equipment installation with the newest state-of-the-art Dexter C-series. According to Rubalcaba, the equipment was long overdue for replacement and the facility lacked the large-size washers and dryers that customers demand. In addition to the equipment upgrade, the space itself was updated. The walls were painted a bright orange with black accents, a neutral tile replaced the old floors, the folding tables and ceiling tiles were replaced, a new water heater and water tank were installed. Additionally, four new flat-screen televisions were added for customers to enjoy while they do their laundry. Rubalcaba reached out to Erlinger because he knew he wanted Dexter Coin Laundry Equipment and Western State Design has been recognized as the top Dexter distributor since 2009. "When I was deciding what brand of coin-op laundry equipment to install during the remodel, there was one thing I kept hearing over and over,” said Rubalcaba. That was, "You can never go wrong with Dexter." Dexter Laundry, a highly-regarded employee owned manufacturer of coin-op laundry machines based in Fairfield, Iowa, has been proudly manufacturing their equipment in the United States for over 100 years. Dexter is committed to delivering quality equipment that performs quickly, efficiently, and reliably. Rubalcaba worked with Erlinger on the appropriate equipment mix and chose Dexter C-Series coin-operated washers and dryers. The newest and most innovative line of equipment the company offers, the C-Series features DexterLive controls and comes with access to DexterLive.com, a smart new web application. Accessible anywhere, from any device, DexterLive.com gives owners and managers the ability to track the operation of their Dexter C-Series equipment remotely. The application can be programmed for one or multiple users in order to streamline business operations with partners, managers, store employees, and technicians. Each machine in this series also features large loading doors with new door handles and 180-degree stainless steel door hinges, making it easier for customers to load and unload laundry. The new store boasts twenty-nine C-Series coin laundry washers, including seven T-300 washers, twelve T-400 washers, six T-600 washers, two T-900 washers, and two T-1200 washers. In addition to the washers, Rubalcaba purchased ten 30-pound stack dryers and five 50-pound stack dryers. The new Dexter laundry equipment is sharp-looking and energy efficient, each machine features a new electronic pressure sensor to adjust water level options; the results are increased efficiency and lower water usage costs. The machines boast lower electrical usage and a 100 g-force extraction, which removes more water from clothing in the final spin cycle, decreasing drying time. For community members, this new laundromat is not just another revamped business in the area: it is a necessity. Many walk as a primary means of transportation and require ready access to a laundromat; there isn’t another one close by, says Erlinger. So when news of the renovation spread around the community, people were anxious to know when the store would reopen. In future months, Rubalcaba plans to implement a fluff and fold service at the store, so that customers will be able to drop off loads of laundry and staff members of Rubalcaba Bros Coin Laundry will wash, dry and fold the laundry for customer pick it up at a later date or time. Rubalcaba is excited to share the new space with the community, but he is equally excited about the prospect of his youngest son, Nathaniel, taking over the business one day. And if he chooses not to, there’s always the restaurant. Rubalcaba Bros Coin Laundry is a coin-operated laundromat located in the Rubalcaba Shopping Center in Anaheim, CA. After undergoing an extensive renovation in 2015, Rubalcaba Bros Coin Laundry reopened in 2016 with a new look and feel and a brand new line of efficient Dexter coin-op washers and dryers. 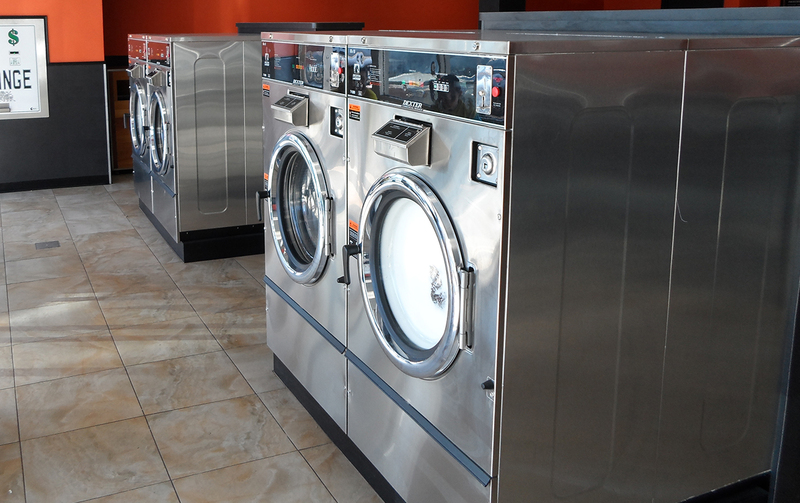 In addition to top-of-the-line equipment, the laundromat features four flat-screen televisions for customers to enjoy. Owner and proprietor Carlos Rubalcaba also owns El Nopal, an authentic Mexican restaurant located a few doors down from the laundromat. With 37 years’ experience as a premier, full-service distributor to the coin-op laundry industry, Western State Design has grown to become one of the largest coin laundry equipment distributors in the world. Western State Design is proud to be a Dexter Authorized Distributor, and has been recognized as the No. 1 Dexter Distributor Worldwide from 2009 to 2015. Dexter Laundry located in Fairfield, Iowa, is an employee owned leading manufacturer of commercial laundry equipment. All equipment is manufactured in Iowa. Visit WSD online at http://www.westernstatedesign.com or call toll free at 1-800-633-7153.